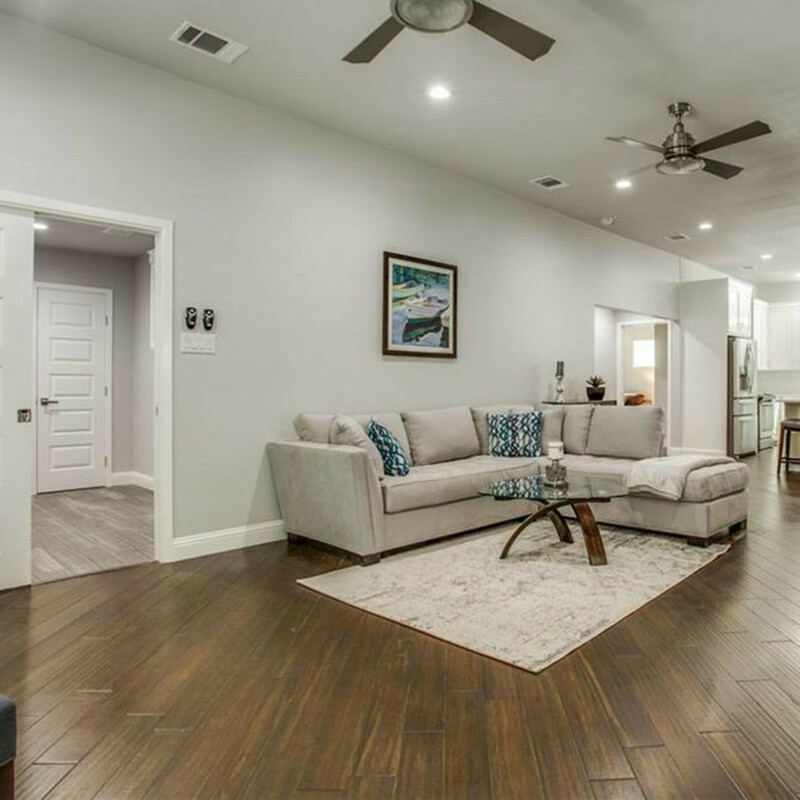 The open concept home has 2,100 square feet. 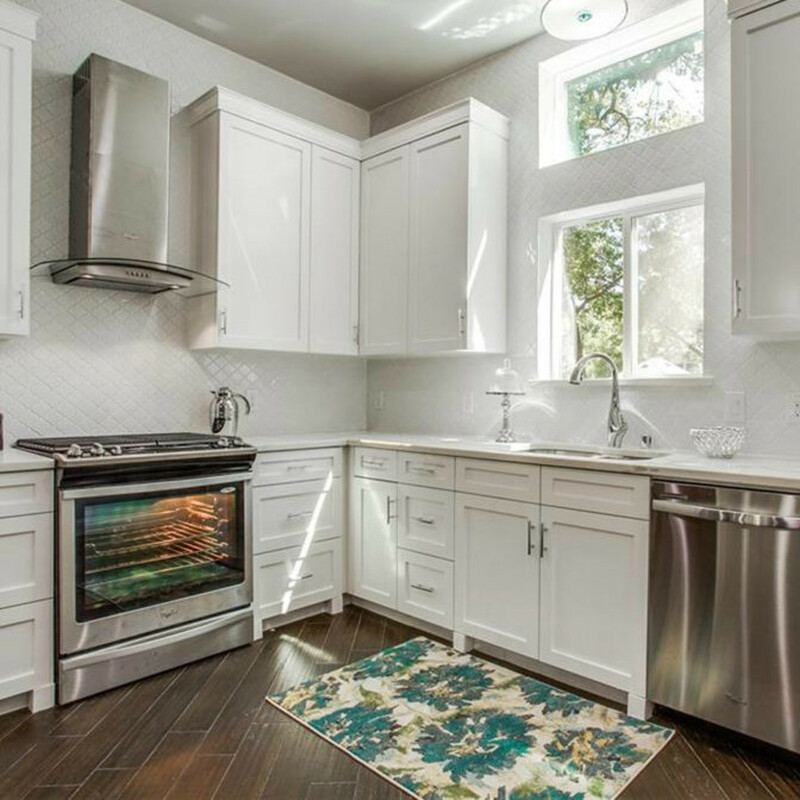 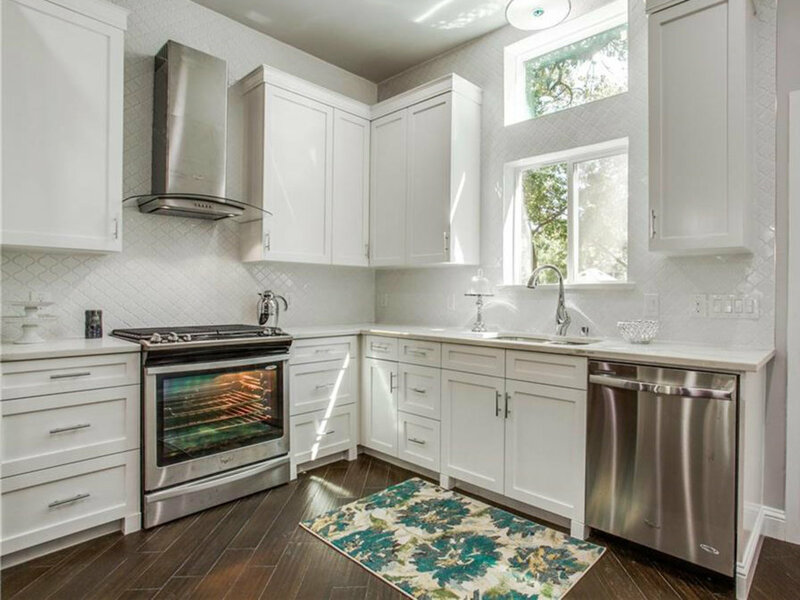 The kitchen features stainless steel appliances, custom backsplash, and a five-burner gas range. 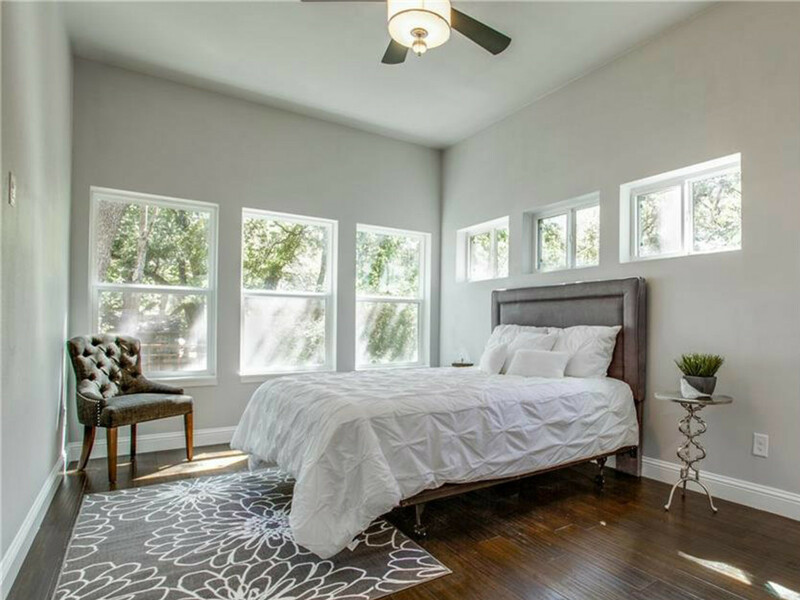 The master bedroom has six windows, allowing natural light to flood the space. 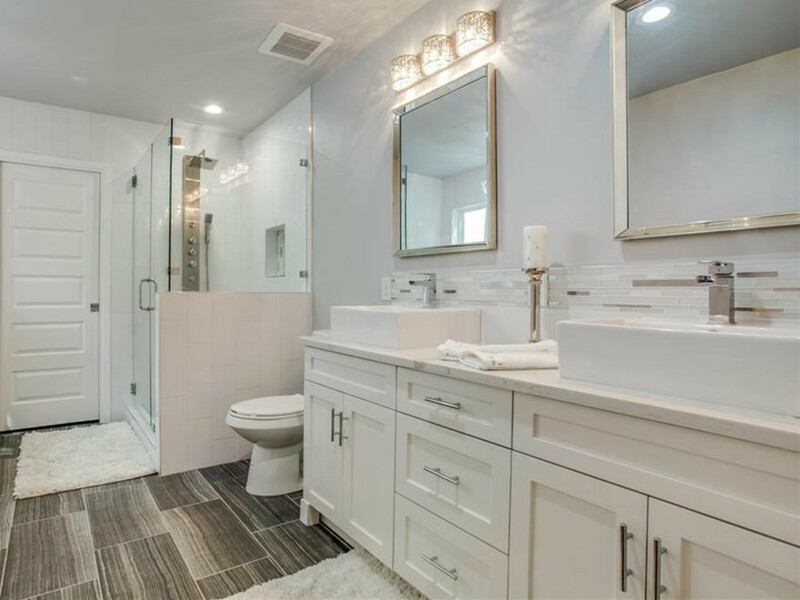 The mater bathroom features modern, dual sinks and a high-pressure shower. 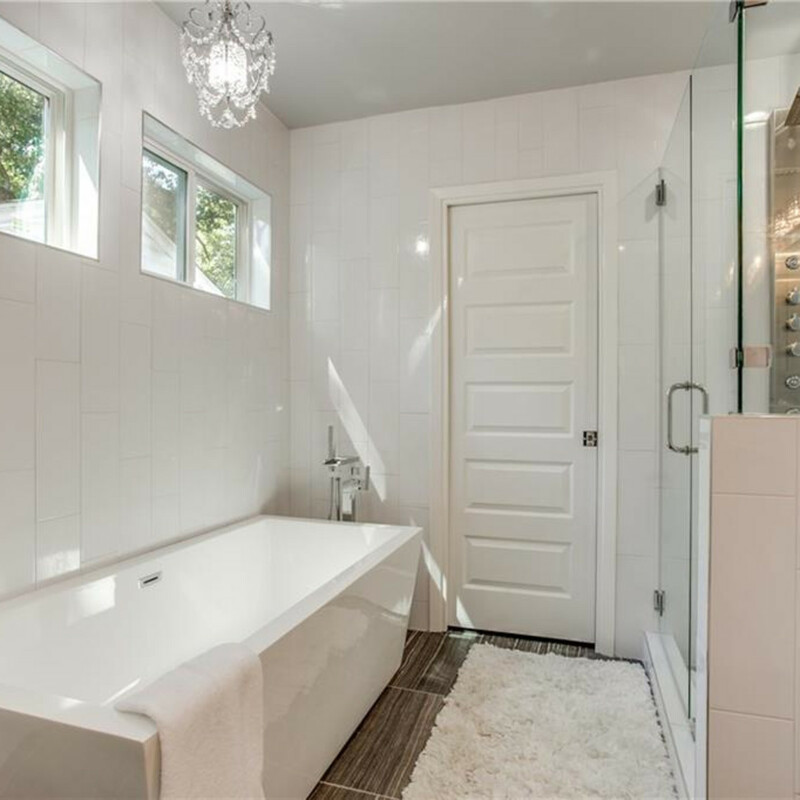 The stand-alone tub is a nice feature. 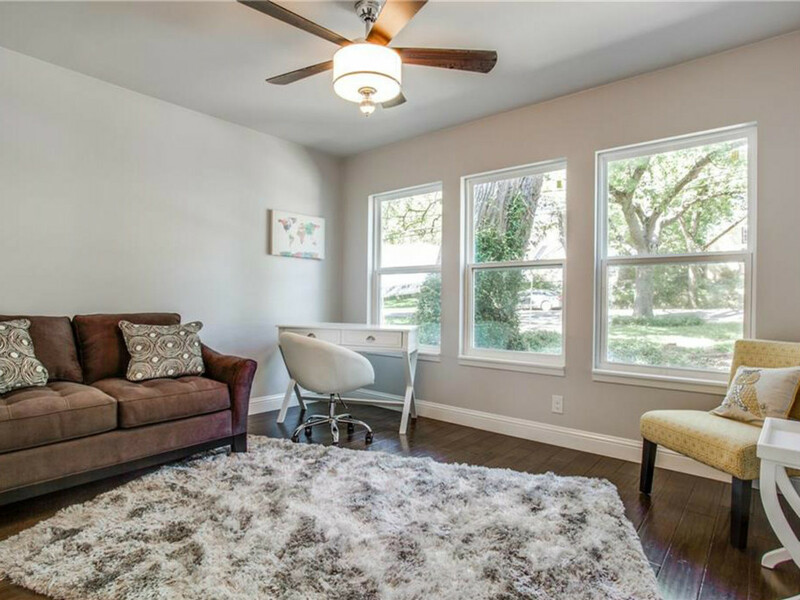 If you don't need all four bedrooms, convert one into an office, study, or movie room. 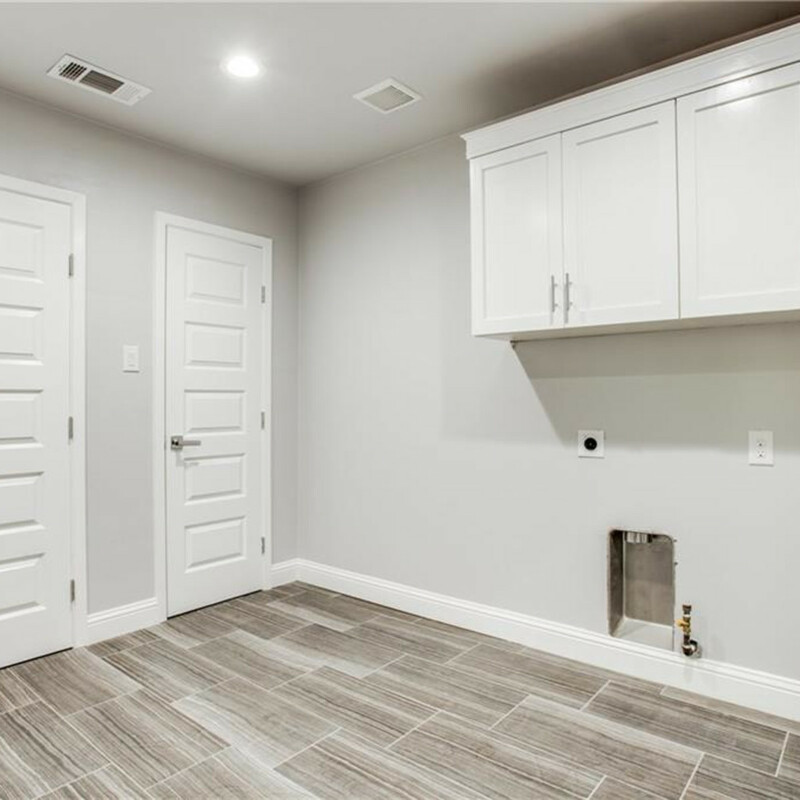 This massive laundry room makes washing clothes sound fun (or at least doable). 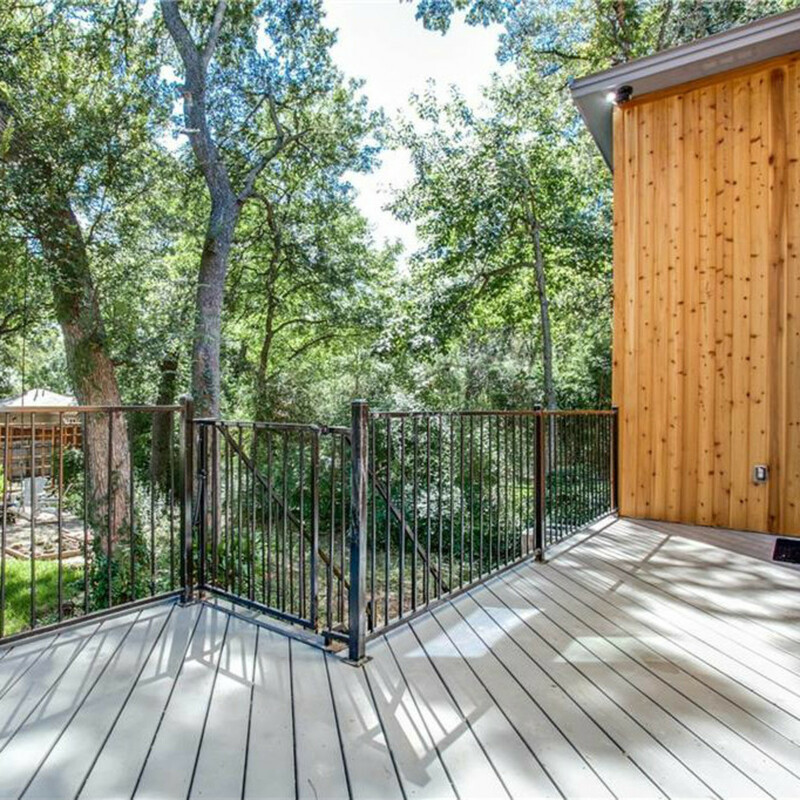 Gaze out into the large backyard from this porch. 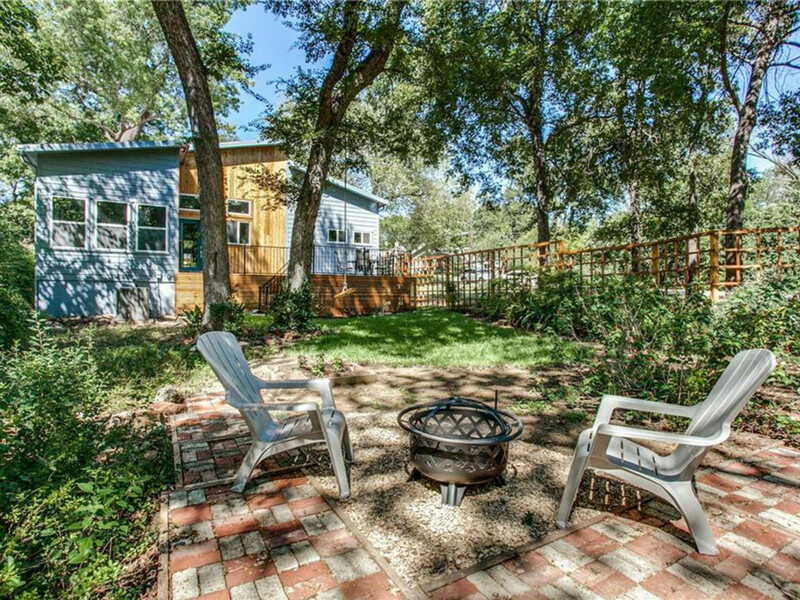 The backyard also features a fire pit and herb garden. 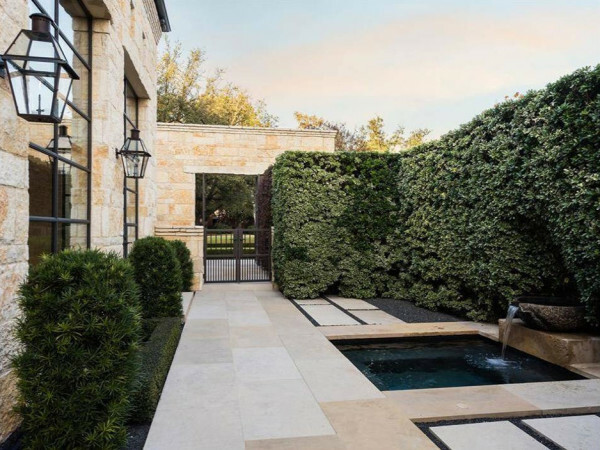 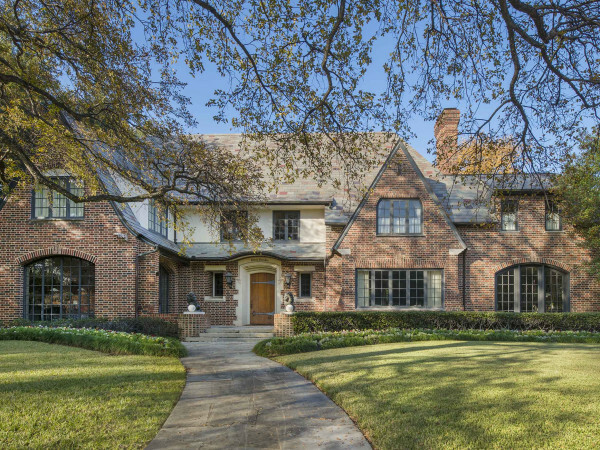 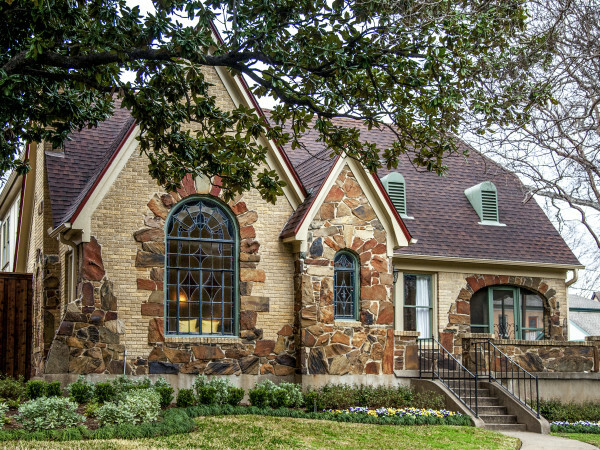 New construction in Dallas proper tends to be monstrous mansions with million-dollar price tags. 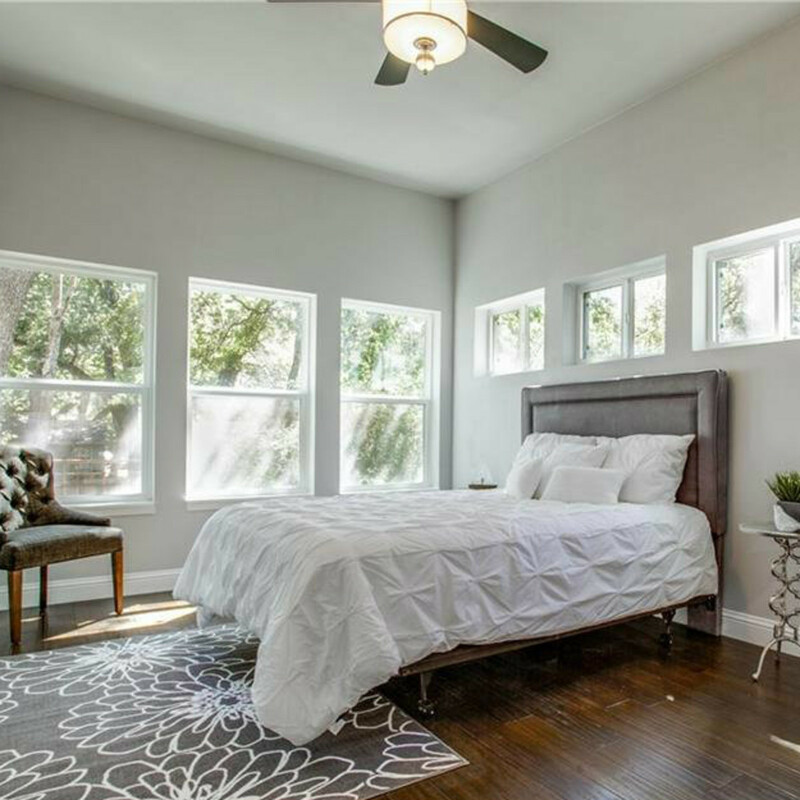 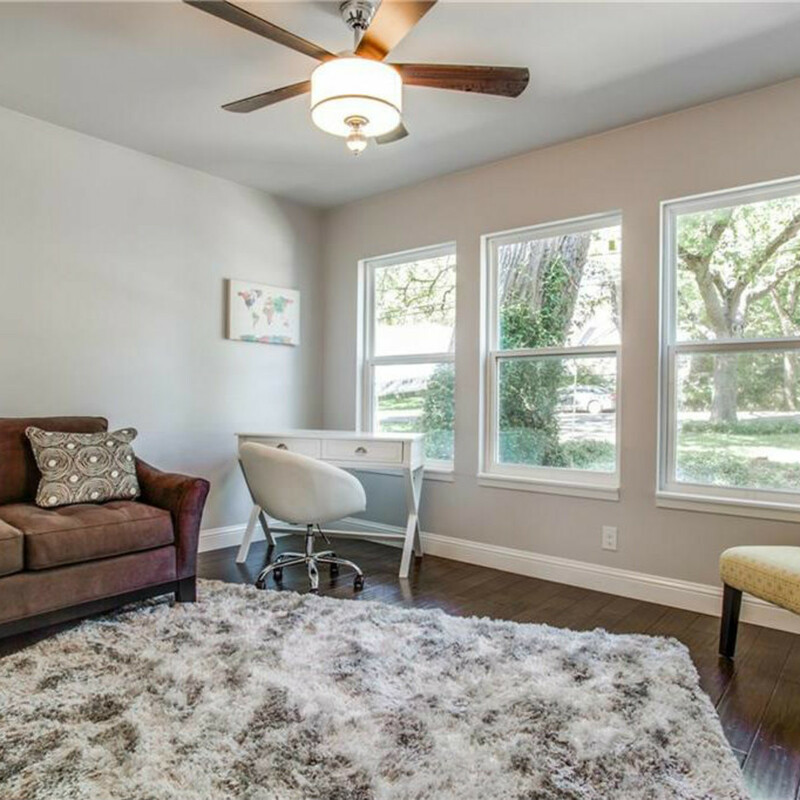 But not this modern home at 8818 Groveland Dr., located in a serene East Dallas neighborhood. 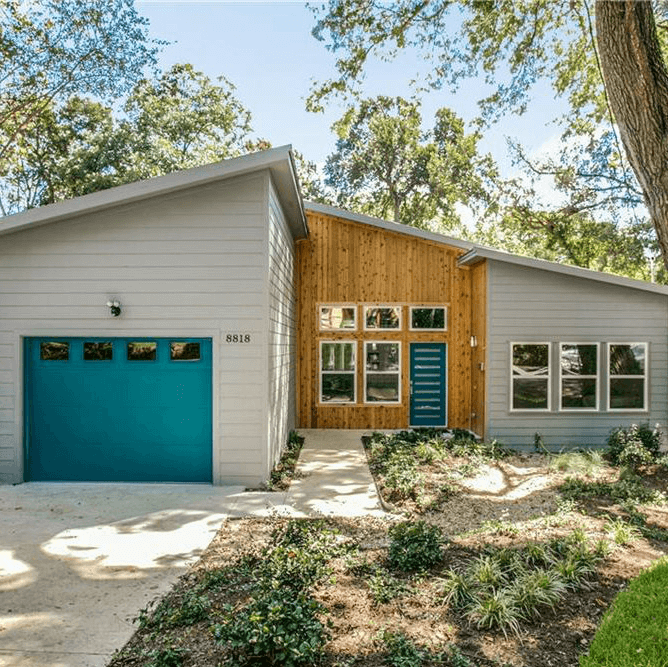 The new build maintains the integrity of the Little Forest Hills area, which is primarily cottages and bungalows, by coming in at just 2,100 square feet. 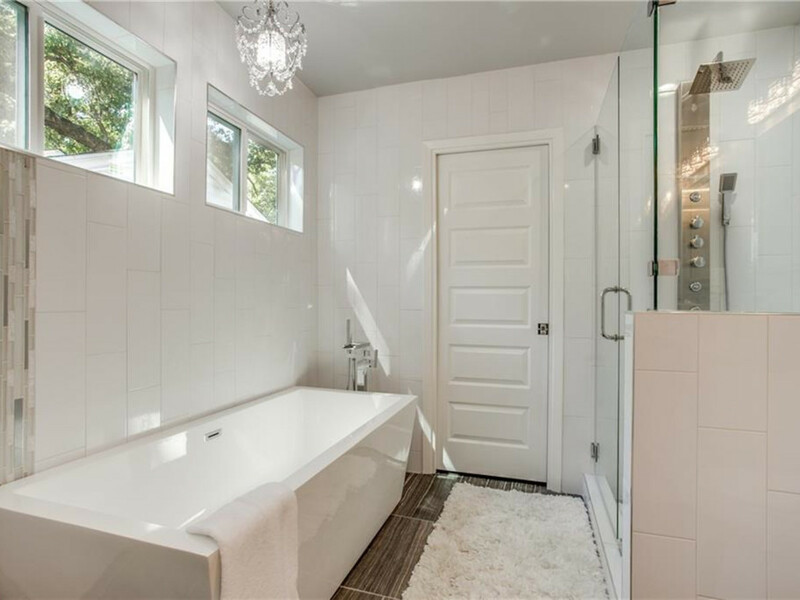 The price tag is well under a million too: $569,000, listed with Adrienne McCutchin of Carrasco Real Estate Co. 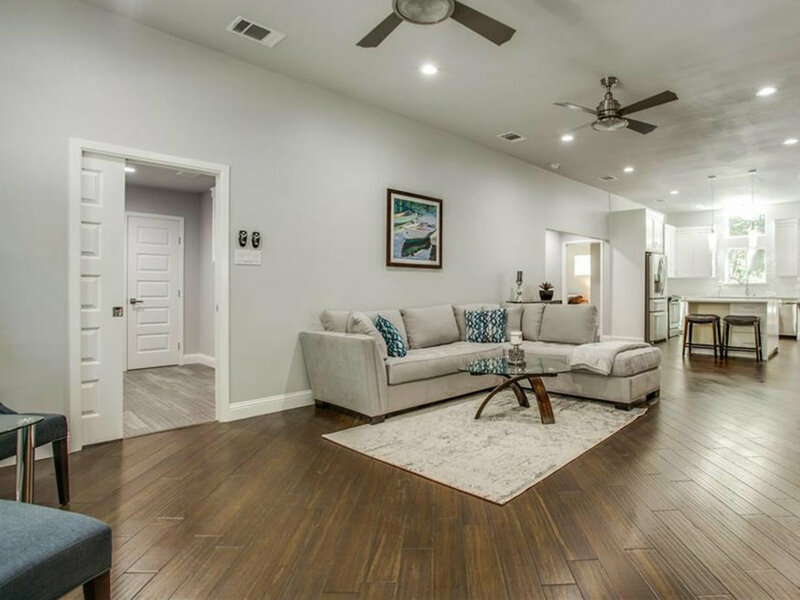 The four-bedroom, three-bath home boasts environmentally friendly features throughout. 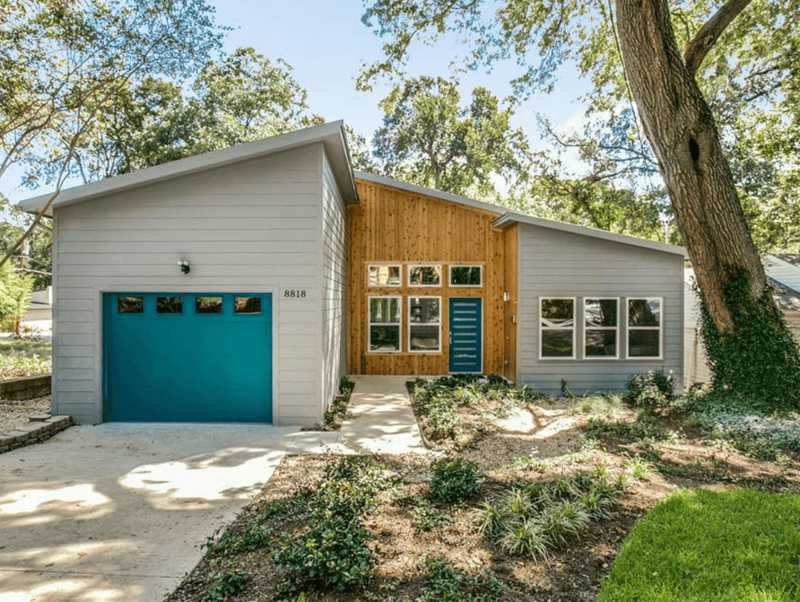 In fact, it's a green certificate home, meaning the builder jumped through numerous hoops to ensure that the property made as small an environmental footprint as possible. 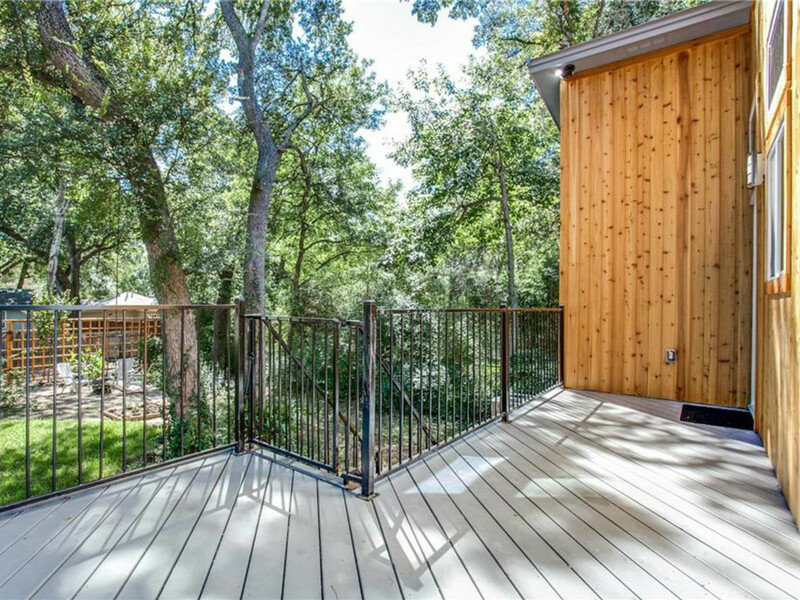 The standing seam metal roof system is just one of many green features. 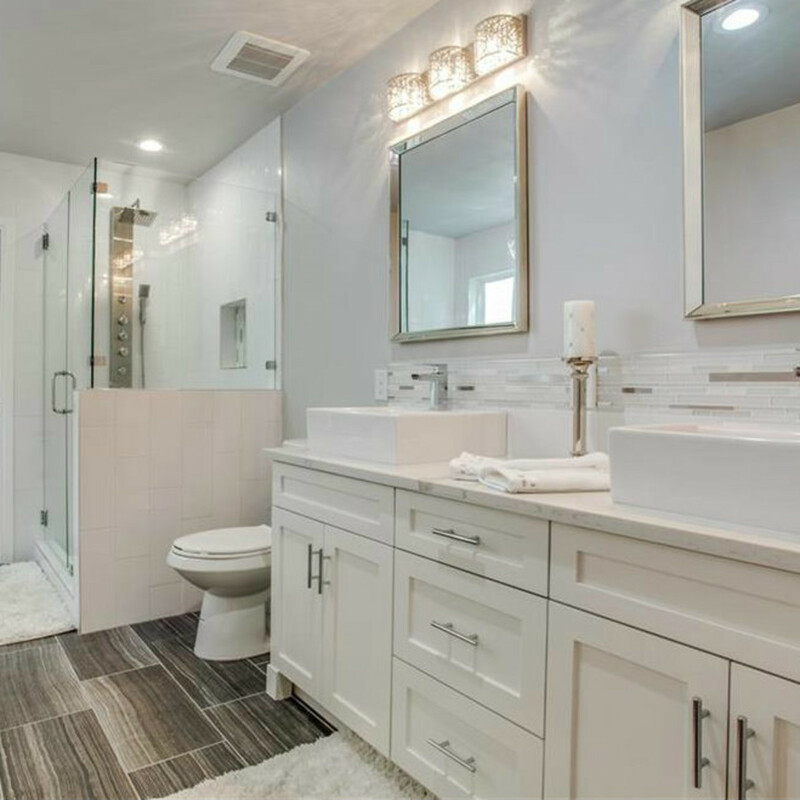 Design-wise, the home features Calacatta quartz countertops, a custom patterned backsplash, and a stand-alone tub in the master bathroom. 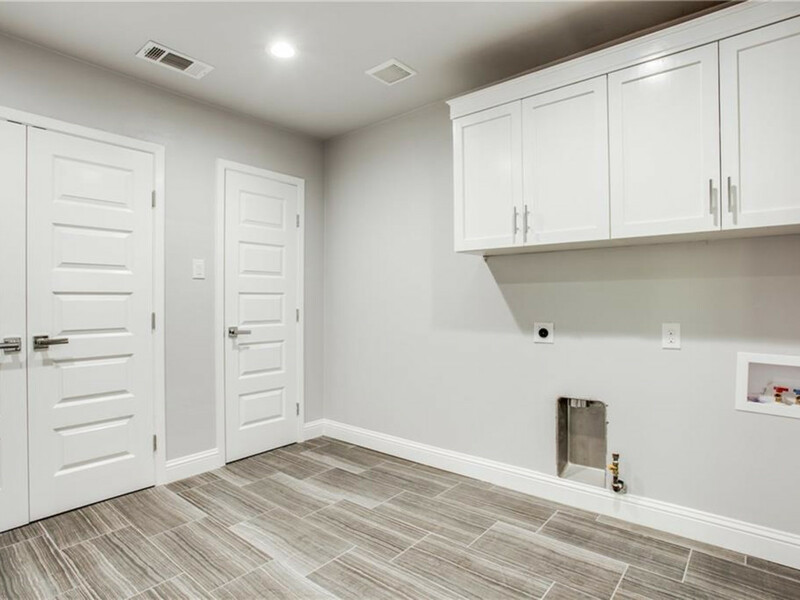 The laundry room is absolutely massive and could make doing laundry enjoyable — or at least easier. 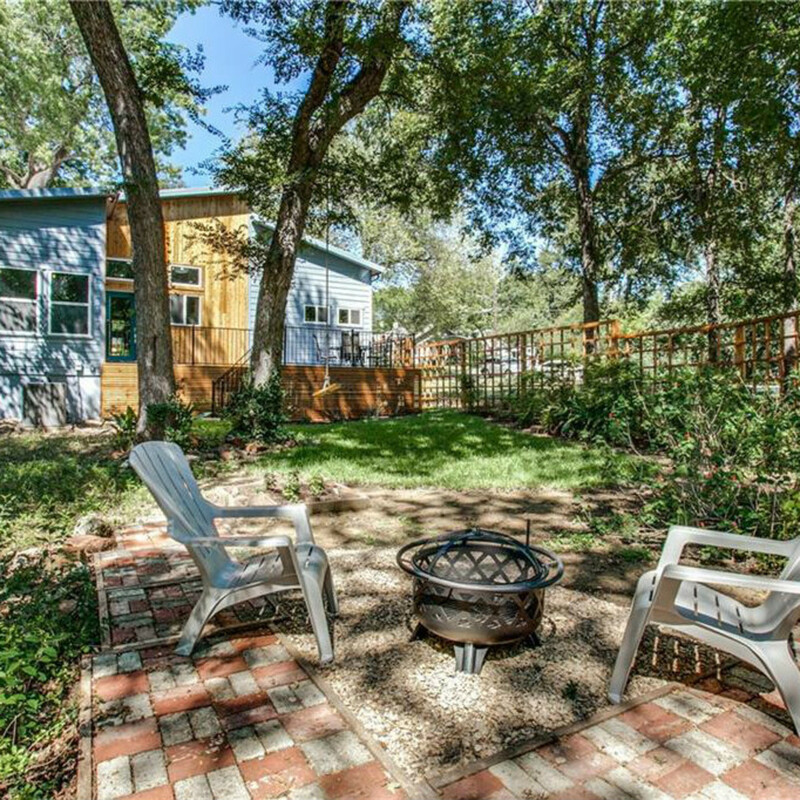 As you might expect in Little Forest Hills, the backyard is an absolute oasis, from the large, sturdy deck to the fire pit and herb garden.